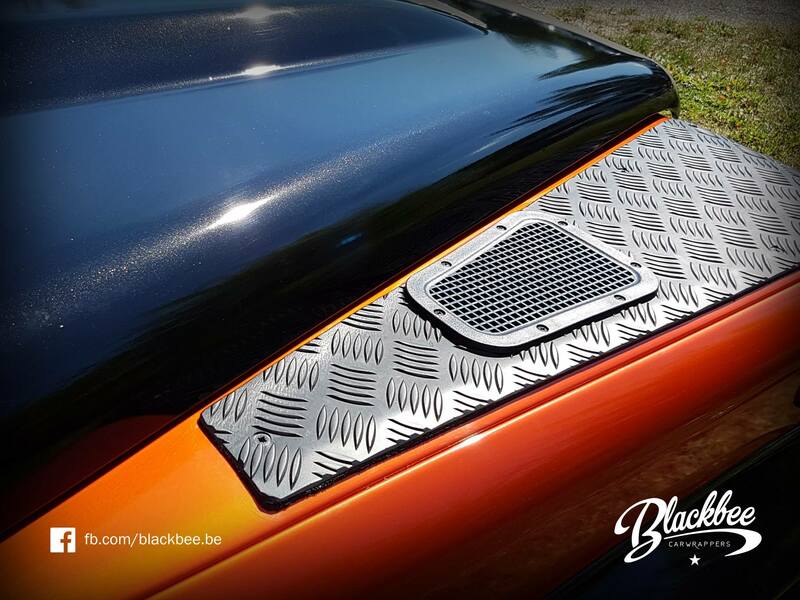 Here is another super-production by Blackbee. 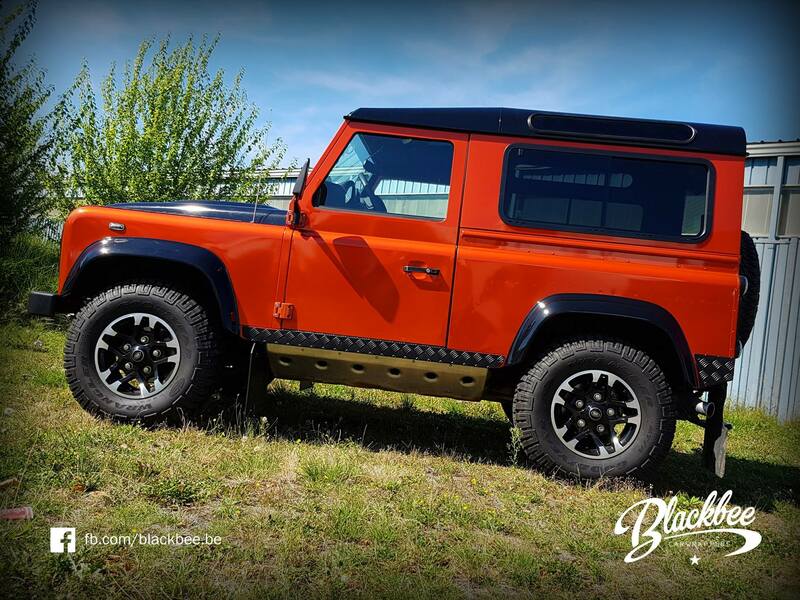 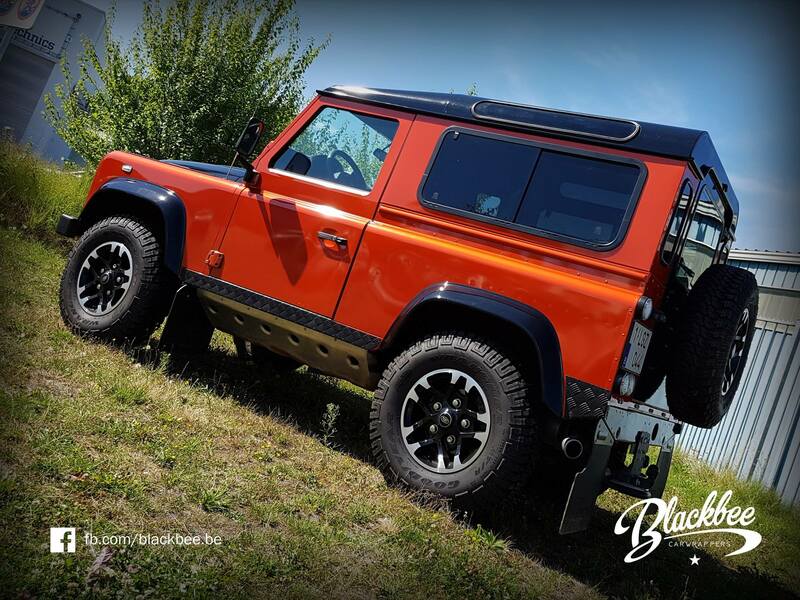 Land-Rover Defender 90 “Puma” edition. 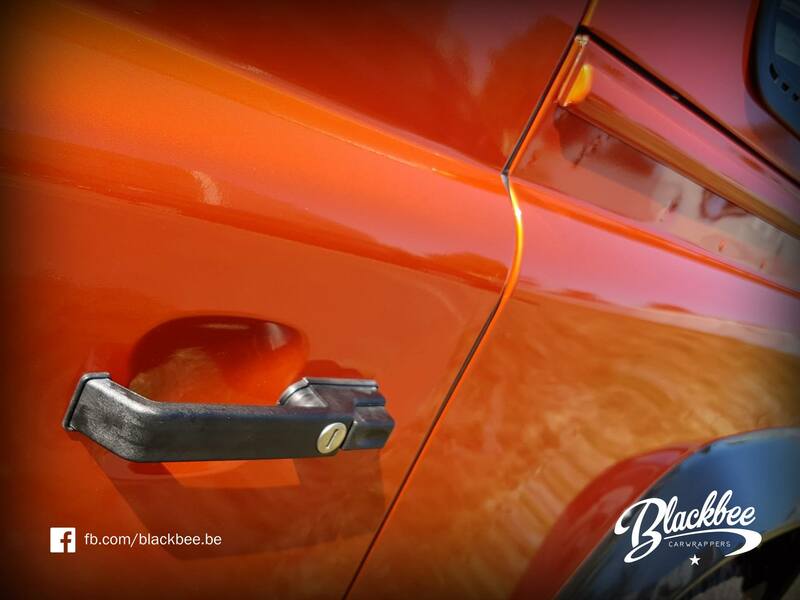 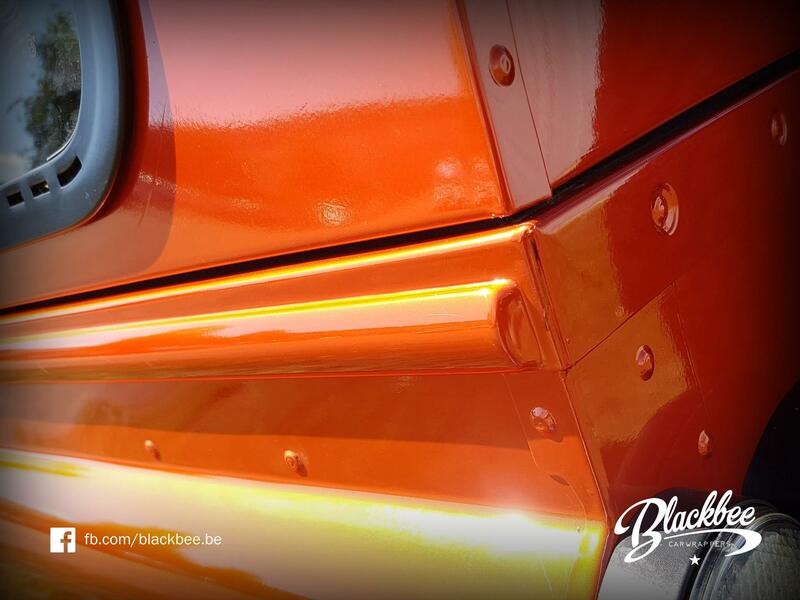 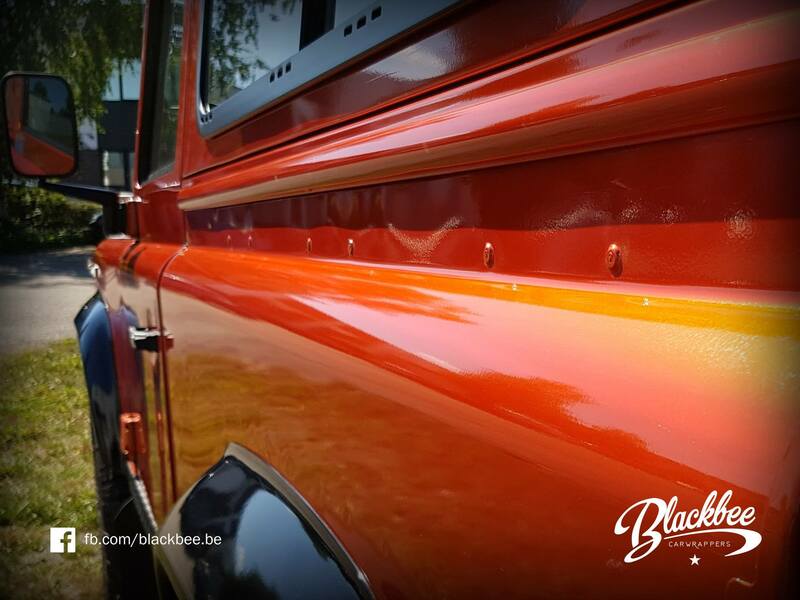 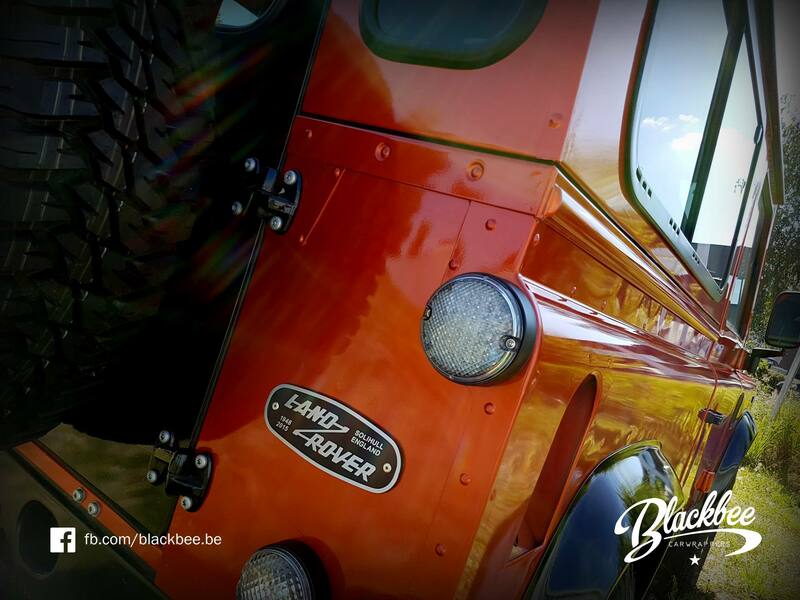 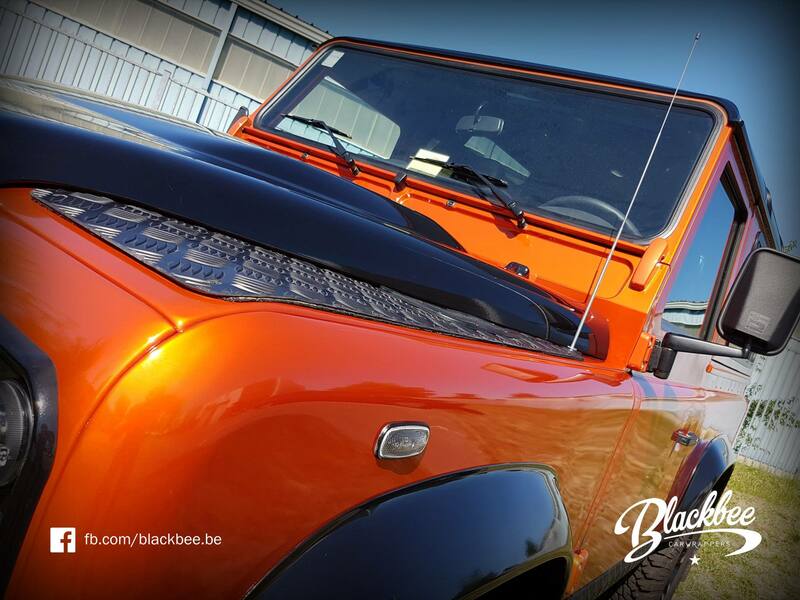 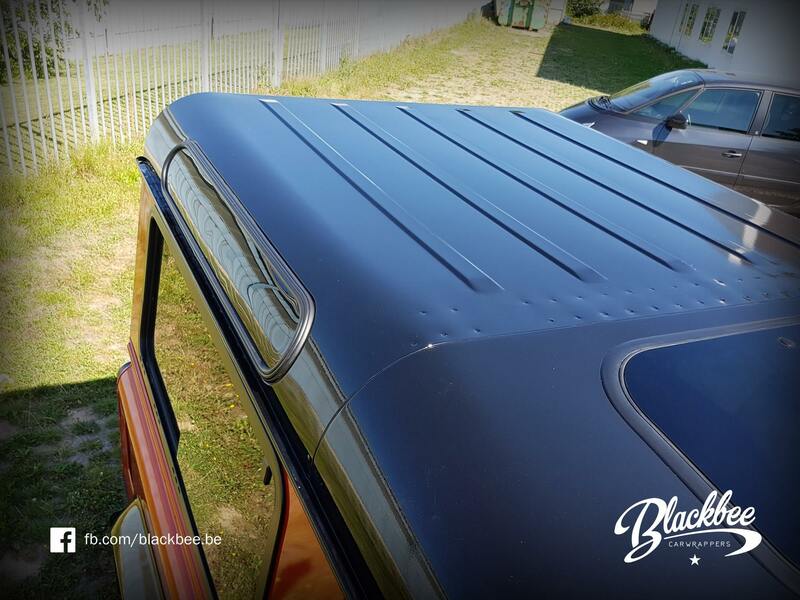 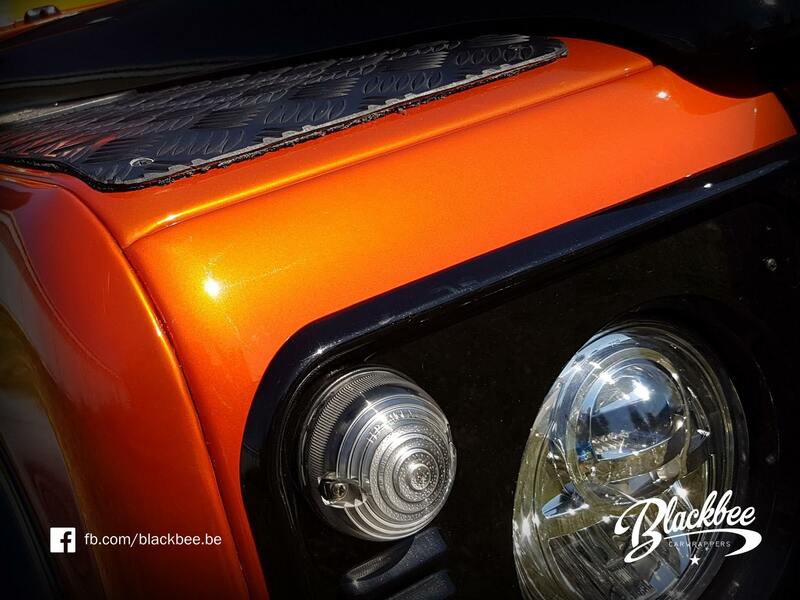 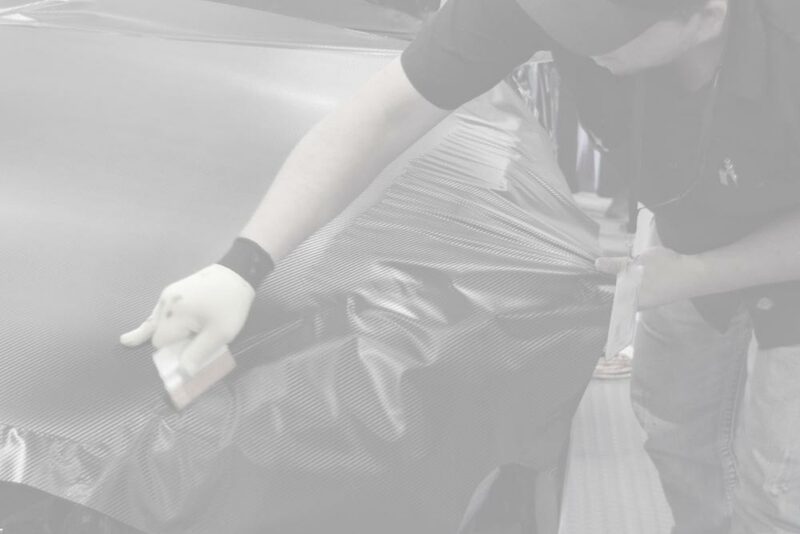 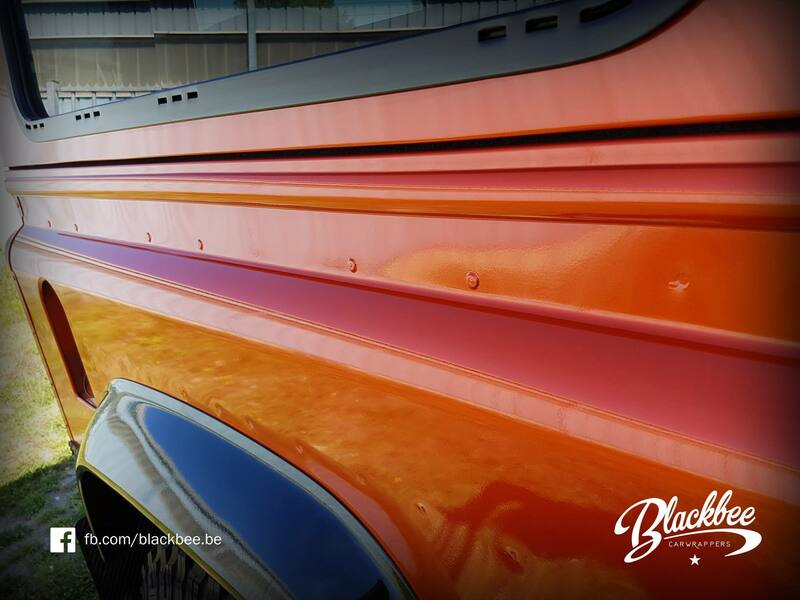 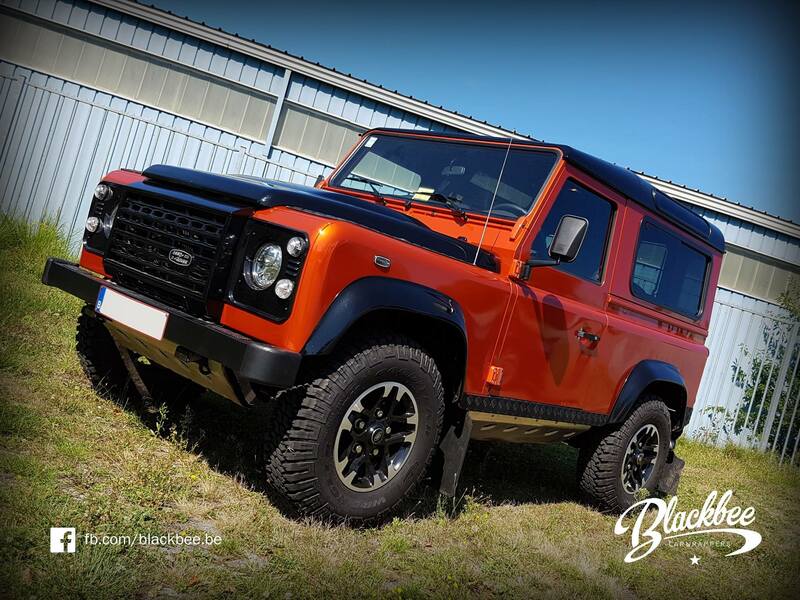 Orange/Black, completely wrapped with 3M 1080 film for a fabulous effect with his metallic glossy film.